Thanks a lot for another TJP Show! A press conference was held on the track of Nakano Town Station today to announced the latest DDT Falls Count Anywhere Street Wrestling match. 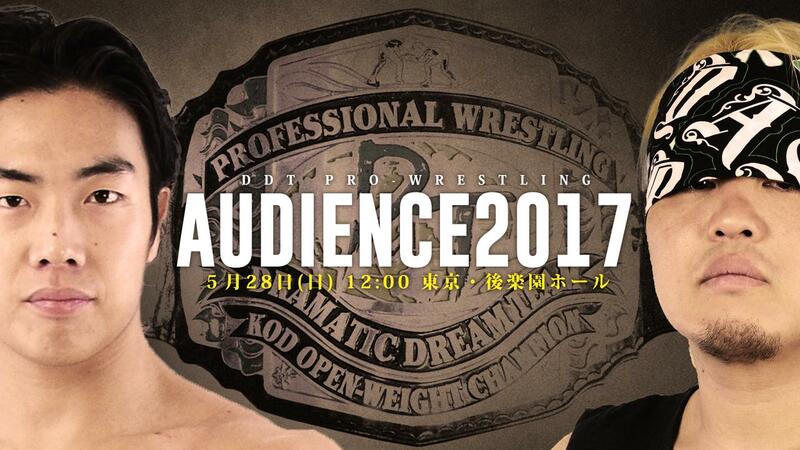 DDT in cooperation with Choshi Electric Rail will be hosting Train Pro Wrestling. 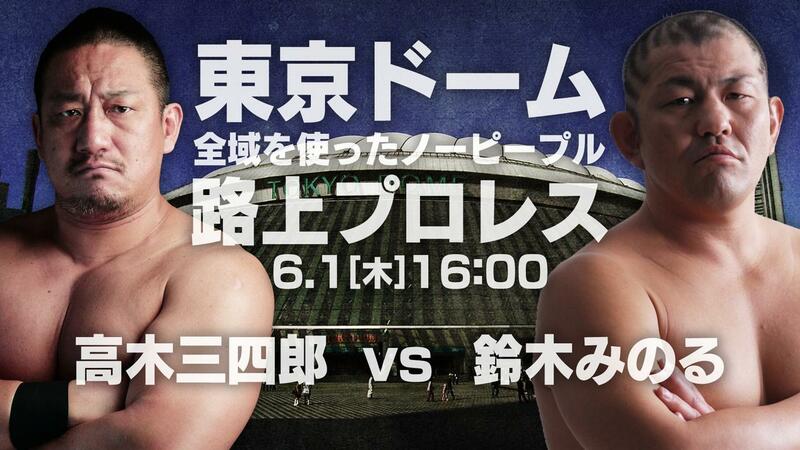 A wrestling match will take place inside a small train travelling from Nakanomachi to Ogawa. But it’s not just any match, it will be a Falls Count Anywhere Battle Royal featuring around 10 wrestlers. Two wrestlers will begin the match inside the train when it begins its journey then another wrestler will enter at every stop. The train being used is an old train that has been around for 50 years. It has recently been used for other entertainment experiments like haunted train trips. Due to how old the train is, the competing wrestlers have been warned that they will be disqualified if they break anything. A 5 count will be used to warn wrestlers if they are close to causing damage to the train. There are 40 seats on the train and tickets will be sold to fans wanting to attend the match for 5,000 yen. 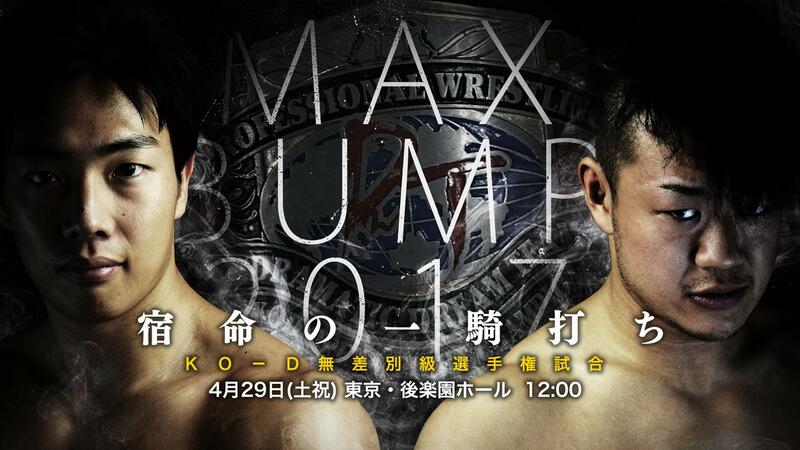 Sanshiro Takagi, HARASHIMA and Rekka are the first three names announced to take part. This was an idea Takagi had wanted to do for a long time and thanks to Choshi Electric Rail it is finally a reality. He hopes to provide an intense match that is still safe for both the passengers and the train itself. He thinks it will be impossible for a wrestler to fall on the track so hopefully they won’t have to worry about that. He’s unsure if the train can handle Brainbusters though. Body Slams should be okay. HARASHIMA has wrestled on a train before so he has the experience advantage. For example, HARASHIMA knows how easy it is to lose balance while wrestling because the train shakes so often. Rekka is involved to promote a link between Choshi City and Taiwan that is currently being developed. The Choshi Rail president Katsuki Takemoto is happy to work with DDT although he doesn’t watch much wrestling because he dislikes seeing blood. He also hopes the idea will improve tourism in the area with fans coming from Tokyo to visit. Thanks. This Match is hilarious.